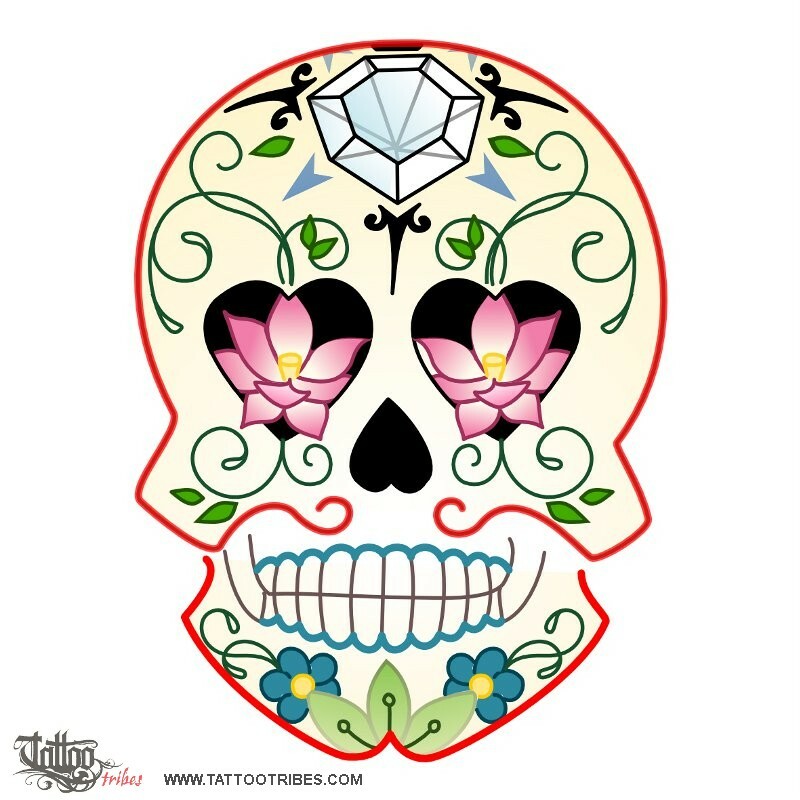 Camilla requested a skull incorporating lotus flowers, a diamond and a stylized compass. The best style for this design would be old school or the style of Mexican sugar skulls and we chose the latter in the end. 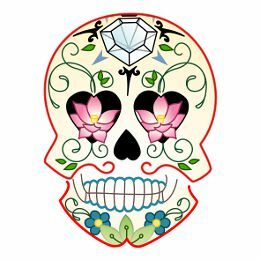 In Mexican traditions skulls are always joined to flowers (often to marygolds, a sun symbol) and to other symbols of life, and the idea we wanted to convey is actually the victory of life upon death.